Tian was built in Genoa, Italy. It is about 34 metres long and cost around Euro 34 million to build. According to sources in the yacht building industry, the cost of each running metre of luxury yachts is Euro one million. 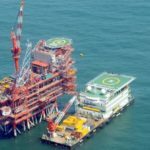 The final cost to Anil Ambani could be around Rs 400 crore, inclusive of customs and excise duties and refurbishing, add sources. Whereas there are reasons to believe that a brand new Motor Yacht TIAN (Pleasure Yacht), imported vide IGM No. 29429 dated 22.10.2008 in the guise of “Used Motor Yacht Type CRN 112/18 Named TIAN”, was found parked at Off Gateway and is therefore liable for confiscation under the provisions of Customs Act 1962. TIAN is 112 feet yacht owned by ANIL and TINA AMBANI imported from ITALY by MARINE SOLUTIONS for AMMOLITE HOLDINGS. It was declared as a transshipment cargo (TP) – on which duty is not paid – and that it was a used and not a new yacht. The yacht came into India on another cargo and according to the yachts documents, was headed to Colombo. The yacht was brought to India and its possession was given to ADAG by way of charter from a foreign company and was declared as TP cargo. Payments for TIAN was made by made by Gateway Net Trading, another ADAG associate of Reliance Communications. Both these companies are in non-taxable jurisdictions. The yacht attracts 35% import duty charge on the boat cost, which would still add up to Rs 94.5 crores (70 + 24.5). 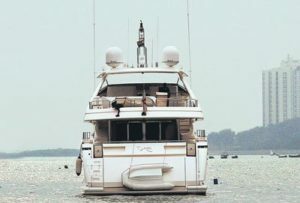 Tian is a Custom line 112 Ferretti yacht currently anchored off Oyster rocks near Gateway of India. The boat has been named Tian based on the initials of ‘Tina & Anil’ and it is a fully equipped with the 5 cabins (10berths) & 6 bathrooms and is considered the Rolls Royce on waters. TIAN TOO is also owned by ANIL and TINA AMBANI. It is 35 feet FERRETTI and was imported by MARINE SOLUTIONS. 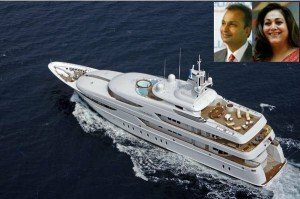 Customs gave provisional release of “pleasure motor yacht – TIAN” after Reliance ADAG Sr VP Hari Nair gave an undertaking for safe custody of the seized luxury yacht TIAN to the president of India. The undertaking required submission of fortnightly movement report of TIAN to the Customs but the Goa Port office records of passenger and cargo manifest show that the pleasure yacht TIAN was in Panjim with crew of 9 and cargo of Iron Ore while the fortnightly movement report claims the yacht is at anchorage off Oyster Rock, Colaba, Mumbai. A pleasure craft is permitted to carry only passengers but TIAN had declared Iron Ore cargo probably to pay for the rising cost of fuel from Mumbai – Goa – Mumbai. 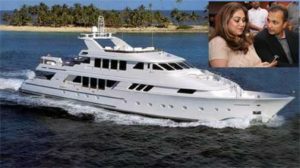 Interestingly Maj Gen (retd) S Dutta is presently a senior vice president of Reliance ADAG that owns TIAN and TIAN -2 while his son Lt Colonel Gautam Dutta is owner of Marine Solutions that had imported the custom line FERRATTI luxury yacht TIAN and TIAN TOO for Anil and Tina Ambani. 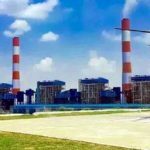 Quick Facts about TIAN 1. 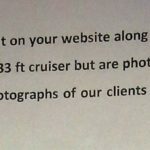 Yacht Purchased in Oct 08 by Ammolite Holdings. 2. The yacht seized by Customs in Feb of 2009. 3. Rs 25 crores paid to customs as deposit for repossession of the yacht which was denied. 4. Ammolite Holdings (ADAG group co) filed the petition in Bombay High Court challenging seizure of the yacht. 5. 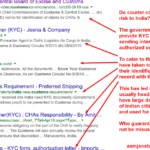 Assistant Commissioner of Customs S R Vichare stated that the yacht had violated Section 111(m) of the Customs Act, hence is liable for confiscation. 6. ADAG claiming the boat to be a foreign flag boat, hence does not require any import duty to be paid in India. “The petitioner has indulged in smuggling by violating the provisions of the Act and in league with others to evade duties,” Assistant Commissioner of Customs SR Vichare had stated in reply to the petition. It appears there was a Champagne party on “Tian” in March / April 2012 (article in Hello Magazine appeared on April 14th 2012). Wonder if permission was taken to host a Champagne party on the “magnificent” (yet controversial) yacht where Shobhaa De alongwith entire Hello team was present too. Read Shobhaa De’s blogpost : But I have to tell you what happened a couple of nights ago – Tina A. was so kicked with the ‘Hello!’ coverage, she did what very few celebs do – invited the entire ‘Hello’ team for sunset champagne on ‘Tiaan’,her magnificent yacht. God knows if this too was organised by Marine Solutions.